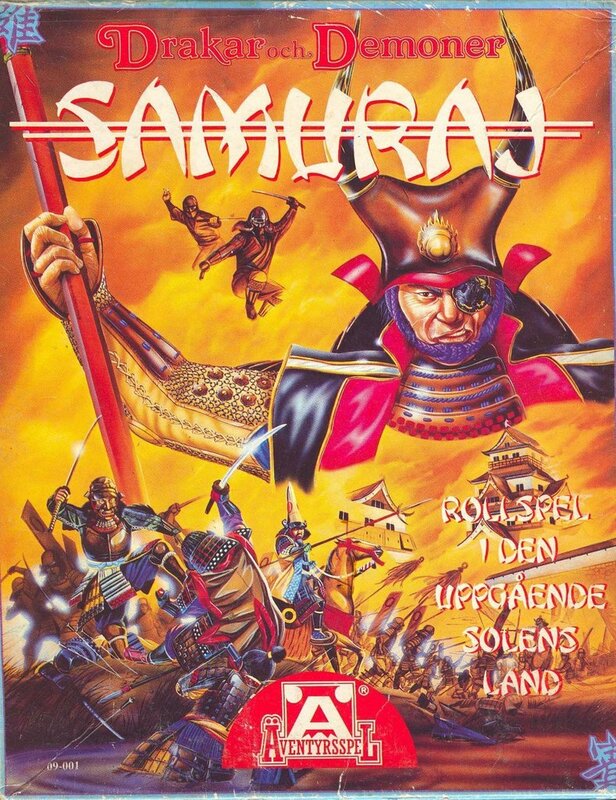 Several years ago I put together lists covering “Samurai” RPGs (Part One & Part Two). I posted these before I started putting together more intensive lists like my histories of Horror, Supers, and Post-Apocalyptic RPGs. So those bushido-driven lists have some glaring omissions. I aim to cut through that today. This comes in the wake of losings one of the genre's biggies: Legend of the Five Rings. Regardless of questions about the cultural fusion in L5R, it raised this genre’s profile. Through four editions, the line evolved. Each one improved the presentation and deepened the setting. The most recent, 4e, has lovely books and smartly presented material for all of Rokugan’s history, rather than tying itself to a particular meta-story. But last year Alderac sold the IP to Fantasy Flight, and most interviews focus on the fate of the CCG. It remains an open question whether we’ll see another L5R rpg. Will there be another dominant samurai game- or has that niche been filled by Legend of the Five Rings? Will the amazingly produced final product- the Atlas of Rokugan- simply vanish? Will my many reviews of early L5R products become even more irrelevant? If you’re a podcaster or blogger and want to talk with me about these lists, drop me a line. I got nominated for an ENnie last year, so that’s something…maybe. If you’re a designer for games I’ve mentioned on any of these lists and want to talk about your work and thoughts about the genre in general, I’d love to have a chance to do that. HEY! I have a Patreon for these lists. If you like them, consider contributing or resharing to spread the word. These lists attempt to fill in the gaps in my earlier ones. So likely if it isn’t here, it is on one of those. If not and I’ve missed something, give me a heads up. For my selection I’ve focused on games which a) self-declare themselves as samurai-based, b) use or adapt classic Japanese historical elements, or c) use specific concepts like samurai or ninjas as key and essential play elements. 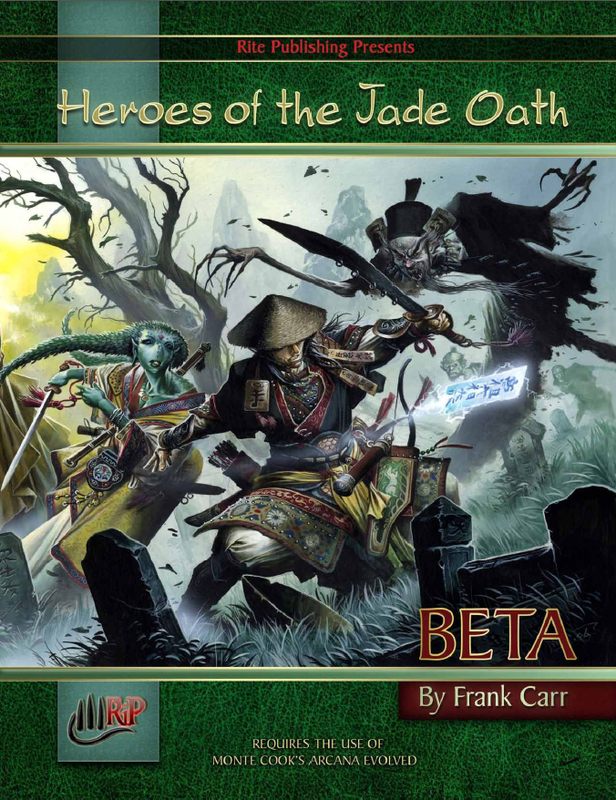 So if something just happens to have samurai, but isn’t aimed at that (like the Pathfinder Advanced Player’s Guide). I’ve marked products as “fringe” if they skate the edge. I’ve organized these by release year, then alphabetically, with a miscellaneous entry at the end. Again, if you see something I’ve missed, give me a heads up. Dragons and Demons is a Swedish BRP game with several editions. It's one of the early European D&D/Runequest descendants. It looks like that may still be running, with a 7th edition released in 2006. In 1987 they produced a box set echoing Oriental Adventures or more accurately Land of Ninja. It offers a fantastic pseudo-Japan, called Jih-Puh. It's closer to 1500-1800 feudal Japan, though still pretty loose. It received a couple of support products, including a campaign module. Look at that cover- old school blood and thunder. A stand-alone samurai adventure with a simple resolution system. The mechanics are story-driven and simple; I've heard of GMs adapting it to other systems. But on its own it offers a complete package for GMs to pick up and run. The Mountain Witch presents a dark, horror-tinged adventure with the players as ronin. Each travels to Mount Fuji to reach and defeat the Mountain Witch. But these characters harbors dark secrets and fates which will interfere with that task. The PCs begin as strangers and a trust mechanic tracks their interactions. I haven't played this, but I understand it can be an intense experience, tinged with PvP. If you're looking for a one-shot to get a taste of samurai themes and dig horror, pick this up. A massive D&D 3.5/Arcana Evolved sourcebook released by Rite Publishing in 2009. A later, oddly cheaper Pathfinder version arrived in 2013. The AE version got an ENNie nomination for best electronic book. This is a fantasy land in the spirit of the badly named "Oriental Adventures." Like those earlier books, HotJO doesn't offer a land built on exclusively Japanese themes or sources. Instead there's a blender of references from across Asia, but focused primarily on Japan and China, with an emphasis on the latter. Ordinarily I might leave it off the list because it feels so wuxia, but there's enough lifted from Japan (Bakemono, Kensai) to make it worth mentioning here. It's definitely a kitchen-sink setting, with Far East-flavored Elves and more. An amazing small story game. I'm not sure I can do it justice here. It requires at least one woman to play, taking on the role of a wandering samurai. He arrives at a threatened village. The rest of the players take on the role of women from the village. They attempt to convince the samurai to remain and battle the threat. This is done through coy advances, flirtations, and more. Each villager has a set of options they can use, marking them off as they do so. They have to carefully consider how to balance their own position and reputation against this process. It's striking in play. In the end, the samurai must choose one of the women or reject the offer. If he is persuaded and remains, then there's a challenge against the threat. In our session the samurai stayed and fought a monster, but died. The villagers ran to escape, with former rivals sacrificing themselves to make sure someone survived. Highly recommended. Here's the review that convinced me to order it. A collection of historical Call of Cthulhu scenarios. Strange Aeons II includes this one: "THE IRON BANDED BOX set in feudal Japan, it’s like what would of happened if Akira Kurosawa directed an adaptation of a H.P. Lovecraft story. Beautiful, strange, messy, and with swords!" It draws on material presented in Secrets of Japan (though that book's aimed at a modern setting). Fringe Ninja. 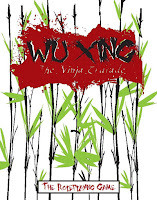 I debated including this on the list, but Wu Xing has really interesting ideas and resources in it. Also they just wrapped up a Kickstarter for the second edition (remaned to just The Ninja Crusade). 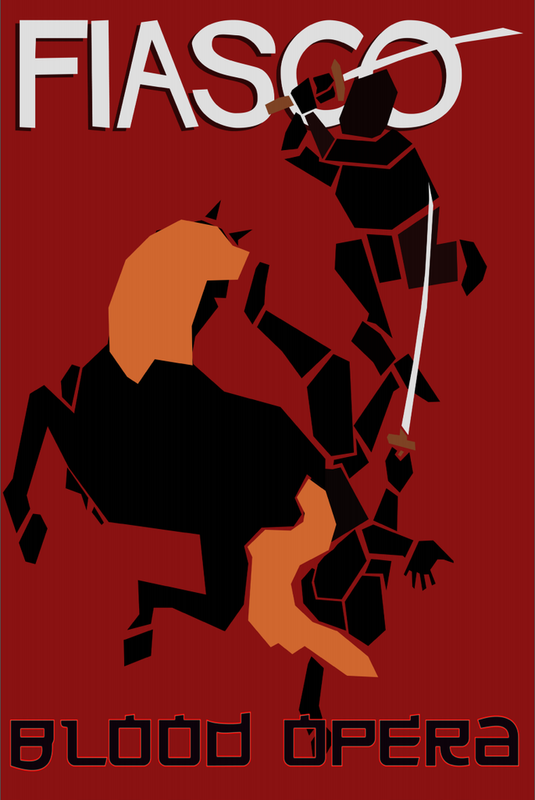 In this game, a massive fantasy Empire turns away from the Ninja who once served its emperor. Now those Ninja fight against forces seeking to exterminate them. Wu Xing's ninja are far more mystical than we've seen in other games. They have access to powerful magics unique to their various clans. The core book mentions ten of those (Recoiling Serpents, Blazing Dancers) plus "ronin" ninja. These offer archetypes players can choose from in character creation. The game itself can cover missions, daily lives, or high-level political intrigue. 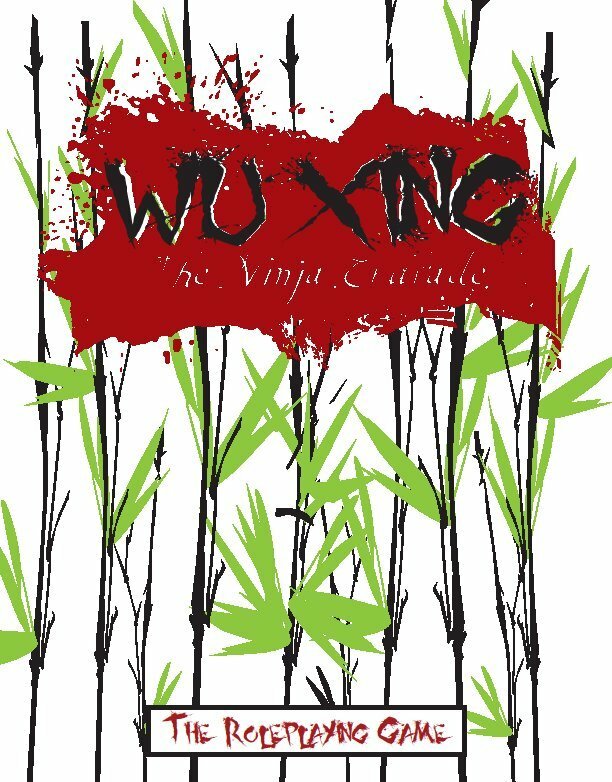 Wu Xing feels a little like Ninja Scroll. The world is vastly different from classical Japan, more like a fantasy realm (Forgotten Realms, Earthdawn). But it does offer ideas for a wild and sorcerous ninja game, which may be useful to some GMs. While their Jade Oath setting appears hodge podge, Rite Publishing's Kaidan material aims squarely for fantasy Japan. But strikingly this Pathfinder setting feels a little like samurai Ravenloft. Kaidan is a ghost-haunted and cursed place. The best of the material, Curse of the Golden Spear, Haunts for Kaidan, The Tolling of Tears, In The Company of Henge, embrace that. They incorporate trickster monsters, long-simmering curses, and vengeful spirits. A couple remain more conventional, like Way of the Samurai and Way of the Yakuza. At this point there's no stand-alone Kaidan book, though that's in the pipeline. You can see a preview of on RPGNow. The Kickstarter campaign estimated a delivery date of October 2013. However it hasn't yet delivered, with preliminary layout starting in Dec 2015. Hopefully we'll see it this year. 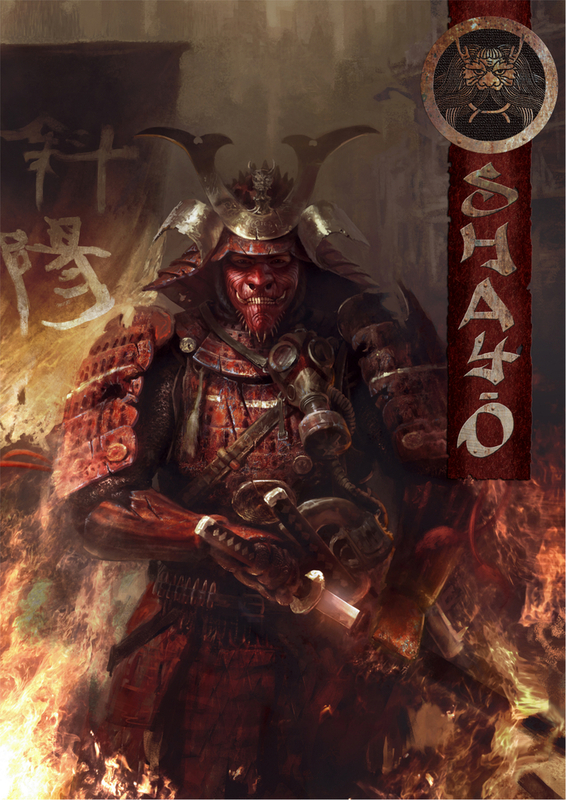 A historical samurai rpg, set close to the time of the Battle of Sekigahara. Tenga focuses on the late 16th and early 17th century. That's striking as we haven't seen many samurai games downplay the fantastic as much. While the back of the book says "An approach to fantasy and legendary creatures that will not fail to amaze your players (translated)," the reviews make no mention of magic or supernatural creatures. That makes me more curious about the game. Does the game present these as ambiguous to the players? Are they uncertain about the reality of such legends? That's a cool approach and one 43AD presents for Roman Britain. Tenga uses a simple resolution system and the character sheets don't look that complex. Players can create a group and then move to individual characters. I assume that's something like Blood & Honor's clan creation step. Reviews mention several interesting ideas "revolt" as a term for motivation. Mechanics take up a small part of the core book with much more space devoted to setting, background, and GM advice. That's nice to see in a game like this. Tenga includes a scenario and reference guide for Japanese elements. The core book's about 200 pages and close to trade sized. A Spanish translation released in 2013. Two Fiasco playsets, Blood Opera and Yokohama,1865 use historical Japanese settings. 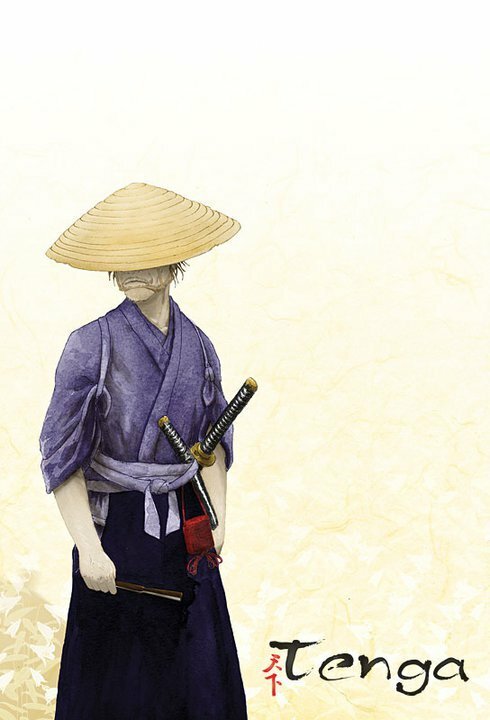 The former adapts classic samurai-era archetypes and duties to create conflict. I'd initially assumed it would be smaller in scope, like Yojimbo, Onibaba, or Empire of Passion . But instead it has a grander vision like Samurai Rebellion, Kagemusha, or Sword of Doom. On the other hand Yokohama explores that chaotic period of change and foreign presence. It explores the high and the low in that port city. It reminds me a little of World of Dew (listed below). 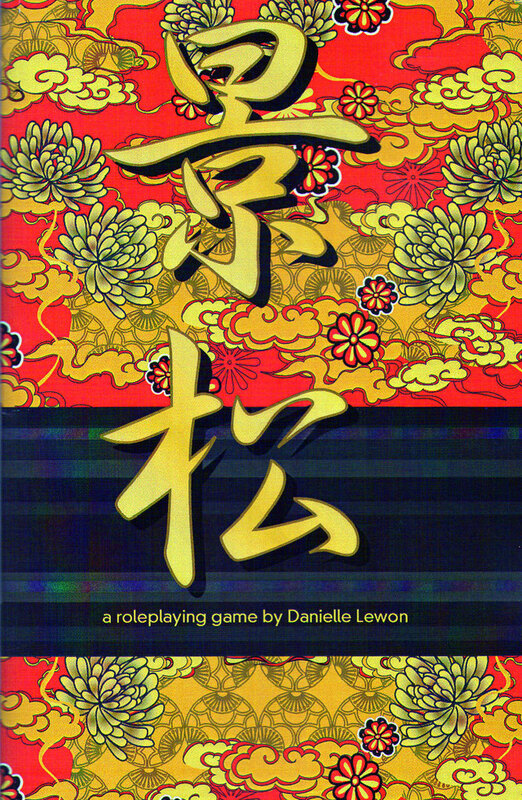 A Heian-period setting book for the Legend RPG. That BRP-based system has produced several location and period supplements. As you might guess, Samurai of Legend covers the basics: a historical overview, modifications for characters, equipment, religion & magic, creatures, and campaign advice. It reminds me most of Bushido in tone, though with some things missing and a slightly earlier timeline. The book's pretty dense for its 150 page length. Worth picking up as a reference for GMs (even if you don't do Basic Roleplaying). Fringe Samurai. From the Great War came the First Founding, the creation of the Pack. Now that Pack- made up of you and your fellow samurai motorcycle warriors- roams the land: fighting duels, gaining glory, and maintaining your honor. 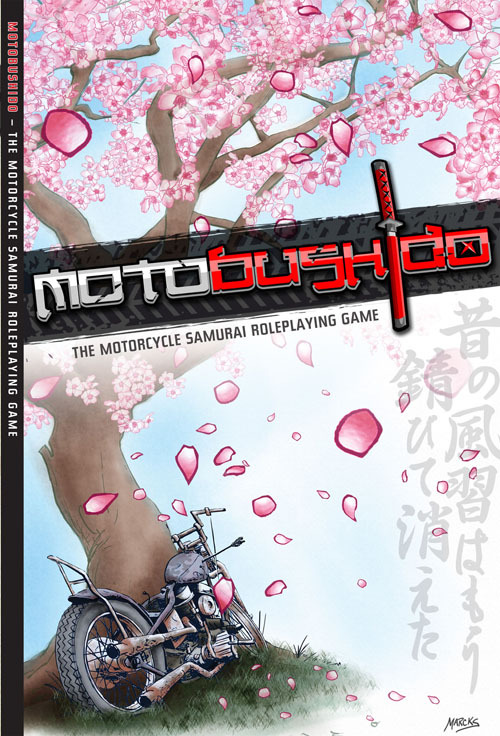 Motobushido might at first glance seem goofy, but it isn't. It takes itself seriously and the presentation & mechanics support that. The War is a loose event, integral to the creation of the PCs order, but left open to the players. There's only a general sense of collapse given. Players can develop specifics by playing out the origin tale of their Pack at the start, but the game aims for the mythic: specific factions and forces existing in a fuzzy wasteland. There's extensive discussion of the samurai ethos and the role it plays in the game. Motobushido's pretty brilliant and a lovely read. There's an unusual depth of feeling here. It combines an appreciation for biking, the community of riders, and samurai imagery. More than just imagery through, it embraces a full platonic ideal of that bushido code. The game doesn't shirk away from addressing the fiction of those concepts (and the problematic elements in them), but outside of that it plays things straight. The setting's striking, but the mechanics are equally deep and interesting, using card play to simulate the tension and challenges of this world, especially dueling. There's some surprisingly deep mechanics for developing communities, running duels, and handling large conflicts. You can pick up a text-only version of the rules PWYW, but the full book's so much better. Highly recommended. Fringe Feudal Japan. Heroine presents adventures of a young heroine and her companions. It's a funny and smart Story Game. Heroine of Heianyko is an unusual setting book for it. This time the heroine is a young woman swept back in time to Heian-era Japan. The most obvious touchstone for this trope is Inu Yasha, but it's appeared in Korean dramas and elsewhere. The short book's strikingly illustrated. I like the way HoH talks about game themes such as social stratification. There's a great opportunity to play the outsider in a strange setting and getting at what it would actually look like to an outsider. Players explore the setting, learn how the society interacts, and come to their own understanding. It's a great premise and a new way to interact with these ideas. 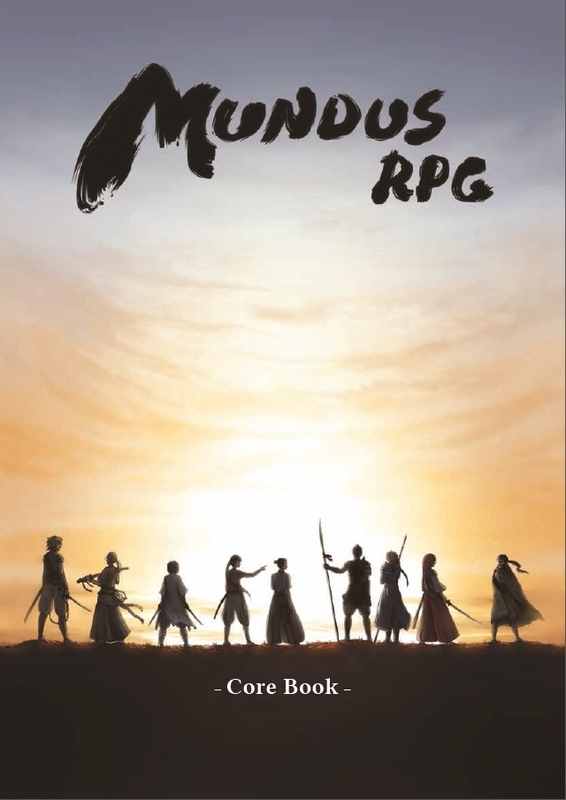 Set in a fantastic Japanese-inspired realm of Tentaika, Mundus offers a hefty (400 page!) stand-alone rpg. Tentaika consists of a mix of islands and a larger mainland. It offers a magical realm, but unlike other samurai games, doesn't try to emulate the historical magic elements (as say Bushido or Qin does). The book splits evenly between characters/ mechanics and background, GM advice & equipment. Mundus' actual resolution system looks simple and d6 based. But the character sheet has two separate pages: one for combat and one for character. That suggests some combat crunch. The game has hit locations, damage types, and special wound effects. It's a little hard to tell exactly what Mundus aims for. Some of the material describe it as anime flavored, while others cite wuxia tropes. It appears the designers are Finnish, based on names and the website, but I think they released this in English first. I recommend checking out the not-so-free 70-page Quickstart. John Wick's Blood & Honor remains one of my favorite samurai games. It offers a strangely beautiful and cynical take on the ethos. It also has useful collaborative tools, making it worth reading for anyone running this period. World of Dew is a complete B&H-based game focusing on non-samurai Japan of the period. Ben Woerner's done much more than reskin the game. He's created something completely new. Instead of clan creation, we have city building. Instead of samurai we have the lives of urban dwellers: the artists, gamblers, soldiers and servants of the period. That material and background presented make it an invaluable resource for any samurai GM, beyond being a striking rpg. There's great stuff here. Characters have their own kind of seasonal actions. There's discussion of sumo wrestling. It considers religion and what that means to ordinary folks. The GM section offers even more, including how to play out these themes. 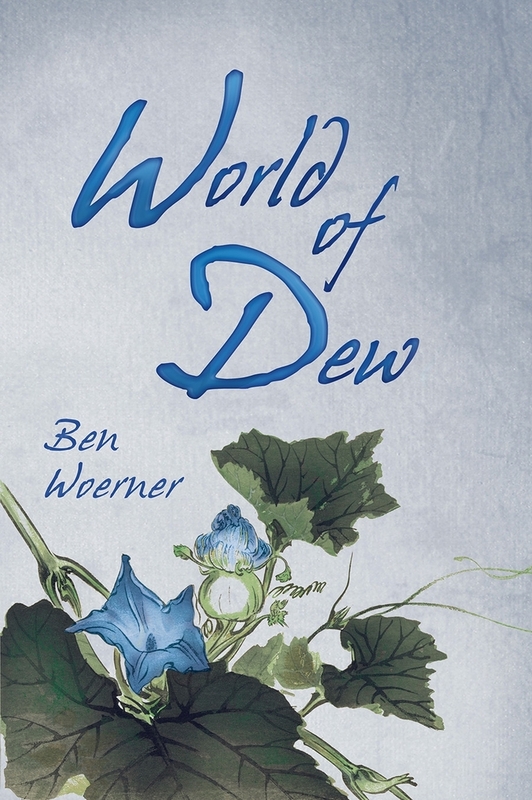 A second volume, Sound of Water, supplements World of Dew. It includes essays from various designers covering new topics: horror, yakuza & gangsters, shinobi, kitsune, pirates, and swordsmithing. Finally the book offers new ways to play the game. jim pinto reframes the setting using the Protocol game system and Ryan Macklin offers a Fate version. The latter makes it worth buying for any Fate GM. Great books, highly recommended. A French post-apocalyptic samurai rpg. In the near future, a series of disasters devastates the planet. After a time of conflict humanity discovers new powers and in many places returns to older, archaic ways and cultures. Japan becomes Hi-no-Moto, under the Chrysanthemum Throne and the watchful eye of the Shogun. Now the world of this neo-Shogunate is stalked samurai, tech hunters, and priests. Mutants and mad powers roam, echoing ancient legends. Shayo has neat concept. But when I first saw the art for the game I thought it was a conventional fantasy samurai game. Then I noticed the gas mask around the neck of the samurai on the cover. Shayo has a point spend system, with characters built on archetypes. The resolution system seems to be d10 with roll & keep elements. I'm unsure how much that looks like L5R. The game had only a core book and GM screen released in France. However the website indicates they will be doing a Kickstarter for the English version this Spring. That's tempting- I hope they'll have a quick start for it. Blood: Path of the Shinobi: (2015) Ninja freedom fighters with a wild circular system for tracking character elements. Fox Magic (2010) While set in a historical Japan, this game follows the lives of kitsune and other Japanese spirits. Samurai elements appear mostly as obstacles or foes. Review here. Gamers Guide to Feudal Japan: Daimyo of 1897: A large and pricey history book. It contains no game mechanics, but is instead organized to aid GMs in creating a realistic setting. Haiku Warrior A card-based rpg adventure "told entirely through haiku." Check it out here. YRMV. Kitsunemori: A d20-based location book for legendary Japan. It primarily covers the Kitsune and other mythic creatures. Tenra Bansho Zero I debated putting this on the main list, but ultimately it's so gonzo and removed I can't justify it. TBZ is originally a Japanese game. It features ninja and samurai through an anime, manga, high-tech, bio-organic lenses. Full of high craziness. Tetsubo: An incomplete web-published fan product. Intended to adapt WHFRP 1e to samurai gaming. Vagabond Core: This was originally supposed to offer a fantastic take on Edo period Japan. That seems to have fallen through. The teams efforts have instead merged with the A Land of Narrow Paths product. (Which I'm still waiting for my copy of). Warrior-Poet A self-published game available PWYW. It offers a setting with blended Asian themes. It's a four-player, GMless rpg where contested actions between players are resolved via Battle Haiku. Pretty neat. I have a Patreon for these lists. If you like them, consider contributing or resharing to spread the word. What's the Deal with RPGGeek?